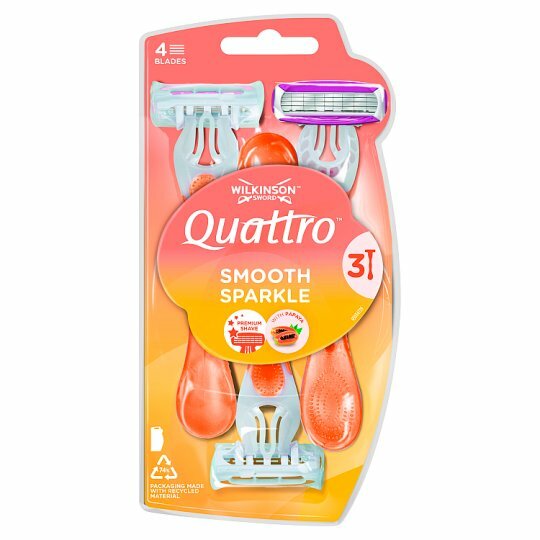 Quattro for Women Sparkle is a high performance 4 blade disposable razor, with sparkly coral handles. With a lubricating strip enriched with Papaya and Pearl extract it will give you a close shave for long-lasting, silky smooth legs. Each pack consists of 3 disposable razors.